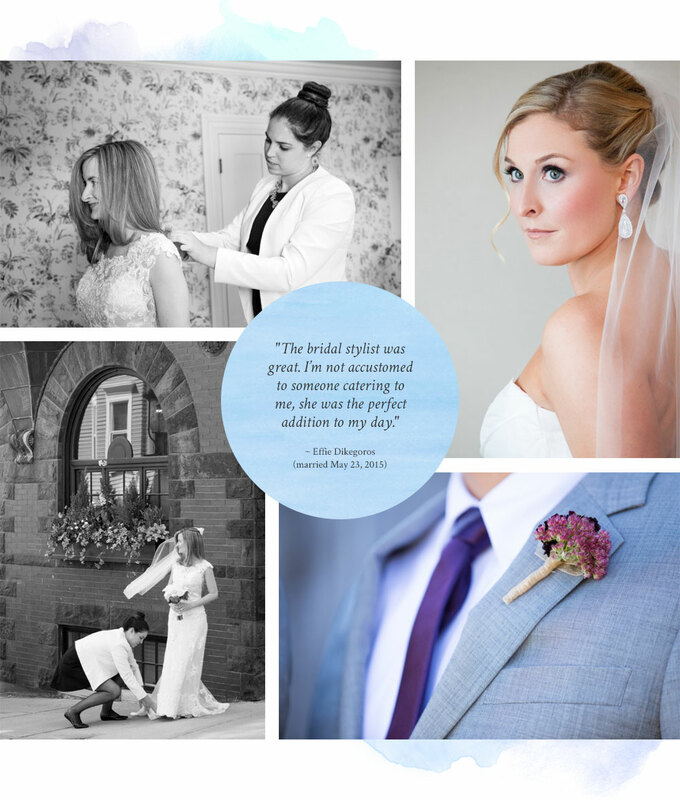 With so many small details needed to be attended to on a wedding day, BKB's Bridal Stylist will work alongside the BKB team to ensure any issues that may come up over the course of a wedding are resolved quickly, efficiently, and stress-free for the couple. A "day-of assistant" if you will, our stylist will handle many logistics that can sometimes overwhelm a couple or be a distraction on such a milestone day. For instance, she will distribute and pin boutonnieres and corsages, adjust your bridal gown for wedding photos, help keep the wedding day timeline on schedule, gather important individuals for photos, bustle your gown and of course, carry your favorite lipstick so you will always have it on hand throughout the day. Logistics aside, she will also be there to hold your hand and give you a shoulder to rely on.